Brian is a visionary business coach providing long term stability to start-ups and SMEs through strategic thinking, process systemisation and re-establishing core objectives and values. He commands over 30 years as a Chartered Certified Accountant and Director. Brian has developed a fresh approach to growing organisations demonstrated by the successful transition of his own accountancy firm into a trusted, multi-award winning business advisory service . 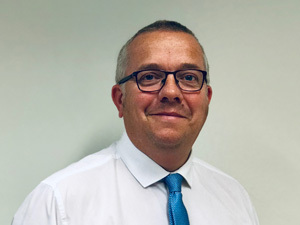 Brian is highly valued for his ability to fully understand the motivators and objectives of an organisation in order to re-establish its core vision and formulate a sustainable growth strategy. He expertly coaches directors to think strategically and rapidly scale-up by promoting robust systemisation and collaboration . Brian is passionate about what he does and gains great satisfaction working with like minded businesses. He believes that all strategic planning should start with a contemplation of why we do what we do. Only when this is established and is centric to the strategic planning does it ensure that businesses are working to help the owner achieve their personal goals. Away from work, Brian is married to Helen and has two children. He is a season ticket holder at Sunderland AFC. 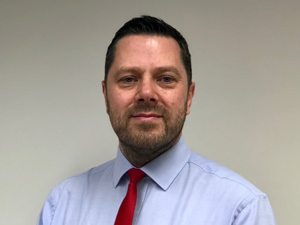 Sean has well over a decade of experience in private practice and achieved all his ACCA qualification in 2014, joining us here at CPT as a valued senior member of our accounts team shortly after. He is a key player in the firms drive to move from being just accountants to becoming trusted business advisors. Sean's broad spectrum of knowledge means he can assist our clients in many aspects of their businesses. Among his specialisms are charity accounts and members’ clubs of which he has garnered extensive knowledge over the years. He regularly participates in AGMs, discussing performance and strategies with members, and is closely involved as an advisor to the Trustees of our most high-profile charity client. 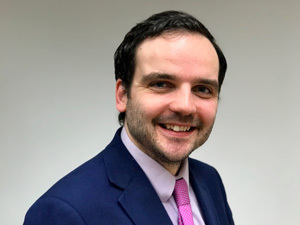 Sean is also involved in the corporate finance aspect of the practice, acting in an advisory role to client’s looking to sell their business and through the whole sale process. His previous background in information technology lends itself well to his role as Champion of Software Solutions at the firm. In this role, he is helping our clients with their transition to Making Tax Digital compliant systems. At home, Sean has a young family and spends much of his time enjoying the rigours of family life. When the time (and fitness) allows, he enjoys playing five-a-side football. Andy joined the profession straight from college at the age of 17. He worked in a small local practice for 10 years before joining CPT in 1998. He is CPTs longest serving member of the team. His main area of expertise is the preparation of small to medium sized sole trader and partnership accounts and he is very good at it! He also looks after a portfolio of clients with regards to their VAT and Self Assessment requirements. Andy is very much the first point of call for a number of clients, having worked with them closely for over 20 years and has built a relationship of trust with each one of them. In his spare time Andy enjoys everything cricket, whether playing, watching his son play or as a member of the committee for his village club and for the local cricket league. He also enjoys following Liverpool FC. 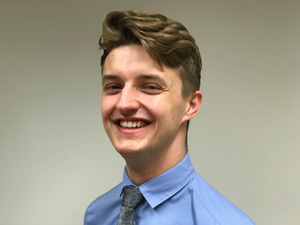 Sam has worked in the profession since 2011 gaining excellent experience and expertise by spending time in both the accounts and taxation departments of local accountancy practices. His expertise is comprehensive, as he has worked on a variety of different clients from small owner managed businesses to multi-million-pound farms and haulage companies. His “specialism” is that he works very closely with clients on our own Growth Acceleration Programme (GAP) helping make clients personal and business lives more satisfying. He achieves this by working with clients as a Virtual Finance Officer and is also a member of out Making Tax Digital (MTD) team. Sam uses these roles to help make a real and tangible difference to the lives of clients he works closely with. Sam is on track to qualify as a Chartered Certified accountant by mid-2019 and when not studying , enjoys helping run the family farm and supporting Middlesbrough FC. 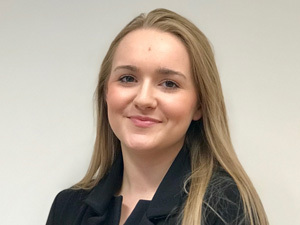 After completing her A levels, Maria joined CPT in September 2018 as a Trainee Accountant. Since joining the firm, she has demonstrated her aptitude for the profession and has already shown she has the potential to be a future “star” of the firm. She provides excellent support to the more senior members of the team as well as diligently carrying out assignments in her own right. When not at work or studying, Maria enjoys spending time with her family and friends, also beach and woodland walks with her dog Poppy. 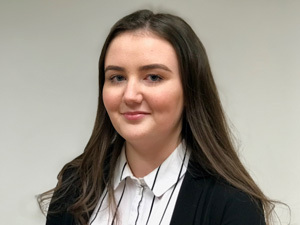 Carla joined CPT in 2016 as a Business Administration Apprentice, and within a year qualified with a Level 2 qualification in Business Administration. 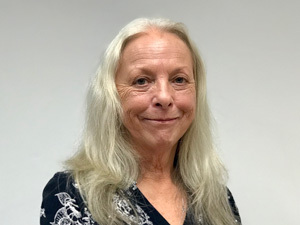 She is very much at the heart of the CPT family, helping clients on their day to day queries and is the first person you will meet when you visit us. She is constantly improving our systems and provides vital admin support to the whole team. Her enthusiasm, willingness to help and ultimate professionalism helps CPT to deliver a first class customer experience. Away from the office Carla enjoys spending time with her young son Elliott. Margaret has headed up the CPT Payroll Services department since 2008. Over this time she has developed excellent relationships with our payroll clients ensuring that she looks after their payroll needs on a weekly and monthly basis. Margaret has shouldered the burden for our payroll clients by ensuring that they comply with statutory requirements with regard to Real Time Information submissions and Auto Enrolment, meaning that the client can concentrate on growing their business. Margaret also liaises with HMRC with regard to various payroll issues, ensuring that the client is compliant. Outside of work, Margaret enjoys being a Grandma and supporting Middlesbrough FC.